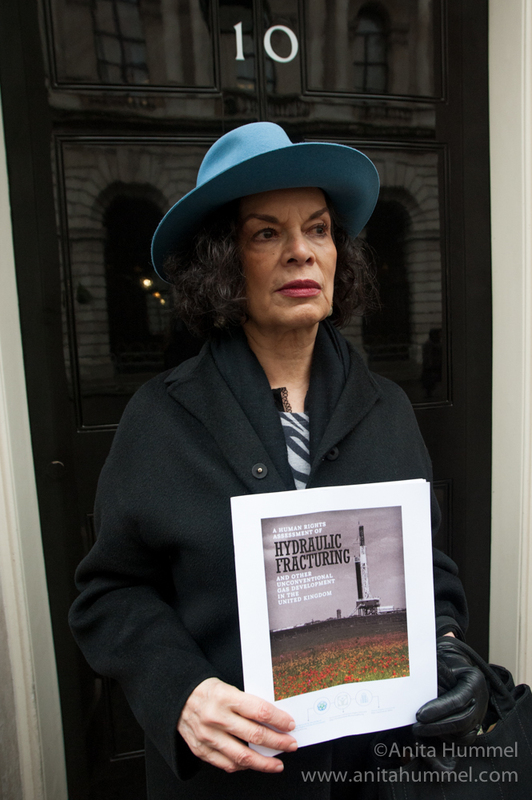 On Wednesday 26th November 2014, the report on fracking and human rights was delivered to the door of No 10 Downing Street by three GNHRE staff and Bianca Jagger. 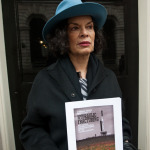 The report was co-authored by the GNHRE, The Environment and Human Rights Advisory, The Human Rights Consortium and commissioned by the Bianca Jagger Human Rights Foundation, and calls for a complete moratorium on fracking in the UK until a full, industry-independent, publicly-funded human rights impact assessment has been carried out. 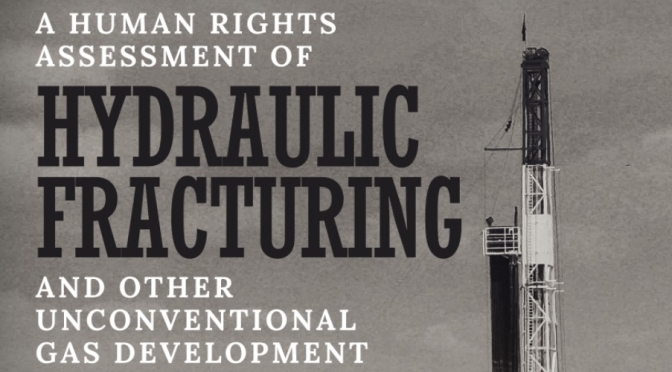 The report has been picked up by activist groups, such as Mothers Against Fracking, and it is hoped that the arguments will assist local communities in their resistance to having the technology imposed upon them against their will. 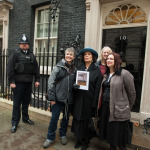 The report is shortly to be mentioned as part of a speech by a campaigner, Geza Tarjanyi, who is walking from 10 Downing Street, all the way to Brussels, to deliver a speech to the EU Parliament. 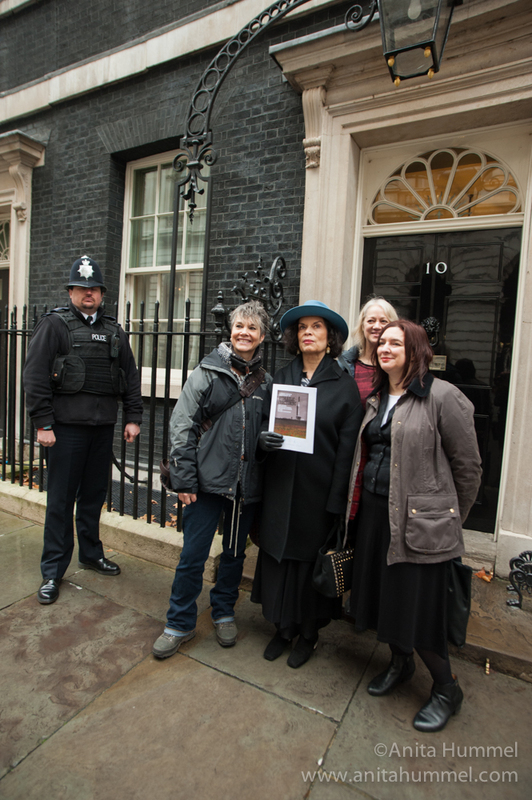 Photos of us delivering the report can be found here.